Ms. Wolf has served as a member of the Board of Directors of Premier, Inc. and the Management Committee of Premier Services, LLC since October 2013. 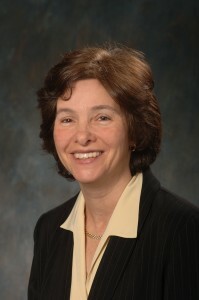 Ms. Wolf served as Senior Vice President and Chief Financial Officer of American Water Works Company, Inc., the largest investor-owned U.S. water and wastewater company, from 2006 until 2013. Previously, she served as Senior Vice President and CFO of USEC, Inc. beginning in 2003 and as Vice President and CFO of American Water Works from 1999 to 2003. Prior to that, since beginning her career in 1979, Ms. Wolf held various positions with increasing responsibility in corporate accounting, finance and business development. She serves as a Director of Airgas, Inc., a NYSE listed company, since 2008 and also serves on the Board of Directors of the Philadelphia Zoo and two privately-held companies. Ms. Wolf obtained a bachelor’s degree from Duke University and a Master of Business Administration from the University of Pennsylvania.